The iConverter 1-Module Redundant Power Chassis is ideal for mission-critical Customer Premises (CP) Ethernet services, and in applications where the monitoring of external events is required. The chassis supports multiple power sources, configurable 10/100 Ethernet ports and a wide variety of alarm options. Power source options feature load-sharing combinations of Power-over-Ethernet (PoE), 9-24VDC and 24-60VDC. The PoE option is designed for applications where the converter chassis must be physically located where power is unavailable or is costly to install. Power is provided to one of the chassis’ optional 10/100 network ports from a Power Source Equipment (PoE/PSE) such as a switch or a Mid-Span power injecting device. The 9-24VDC power sources can be connected via barrel-style or terminal connectors. The barrel-style connector versions are shipped with US or universal AC/DC power adapters. 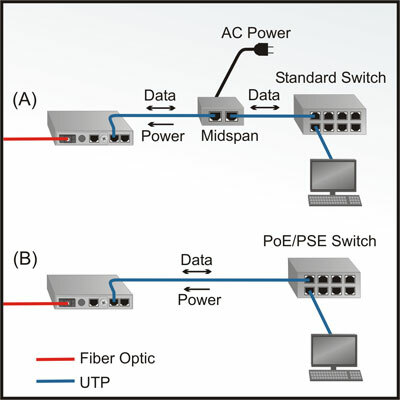 The two optional 10/100 RJ-45 network ports are available with PoE optional on one of the ports. 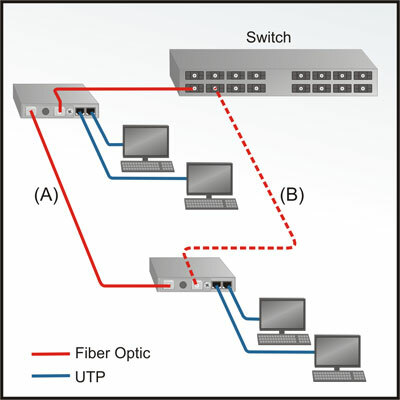 Auto-negotiation, 10/100 and Half/Full-Duplex modes can be configured for each port. Four optional contact-closure alarm sensors are available for monitoring external events. These sensors can be used to monitor a backup battery, the state of an enclosure’s door or other environmental device states. An SNMP trap can be selectively generated upon the occurrence of any of these monitored events. The chassis can be remotely managed when an iConverter module with integrated management (such as the 10/100M2) is installed in the chassis. The management module provides monitoring, remote configuration and trap notification. The monitoring of external events, redundant power, PoE and 10/100 network ports make the iConverter 1-Module Redundant Power Chassis ideal for mission-critical Service Provider and Enterprise network applications. Management provides remote configuration, monitoring and trap notification. Management of the chassis and module is available when a Network Interface Device (NID) is installed in the chassis. The NID can be accessed via SNMP, Telnet and serial port. The chassis and module can be managed with Omnitron’s intuitive, graphic-oriented NetOutlook SNMP Management Software or third party SNMP management software. Management via the Telnet and the serial interfaces have an easy-to-use, menu-driven interface. Fixed parameters that can be monitored on the Redundant Power Chassis include the chassis type and model, manufacturing information, along with hardware and software revisions. The management can monitor and configure the states of the 10/100 ports, monitor the power sources and generate traps upon different link, power, temperature and contact closure events. The chassis contains an iConverter 10/100M2 copper-to-fibre converter, and does not have access to a power source. In Figure A, chassis power is provided by a Mid-Span device inserted between the chassis and a standard switch to inject power into the UTP cable. In Figure B, the chassis is powered by a switch that supports PoE/PSE via the UTP cable. 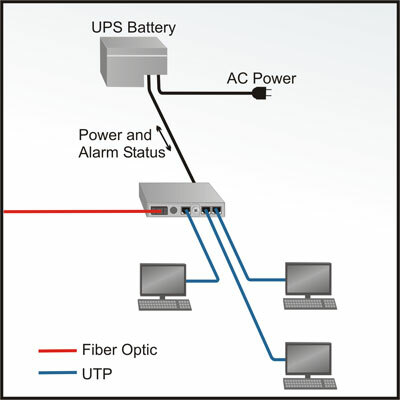 Where battery backup power is required, and the chassis is connected to an Uninterruptible Power Supply (UPS) battery. The battery provides power to sustain chassis operation in the event of a power outage. The UPS battery also provides alarm status for utility power, low battery reserve and battery error via the contact closures on the chassis.